At Jerry Lambert Automotive, we know all about humble origins that grow into something amazing. Our shop began all the way back in 1959 as Lambert Service, a full-service gas station and a family-owned business, but has spent the last several decades growing into one of the largest and most trusted automotive service centers in all of Utah. Naturally, then, we’re proud to service Kia vehicles that come with a similar grassroots story. Kia wasn’t always in the automotive industry – their company was founded in 1944 to manufacture bicycle parts and steel tubing, among other various items. But over the years, they’ve grown their portfolio and have become one of the top providers of economy cars around the globe. Whether you drive a Soul, Rio, Optima, Sportage, Cadenza, Forte, Sorento, Sedona or one of Kia’s other excellent models, the pros at Jerry Lambert Automotive are here to provide all the service you need. 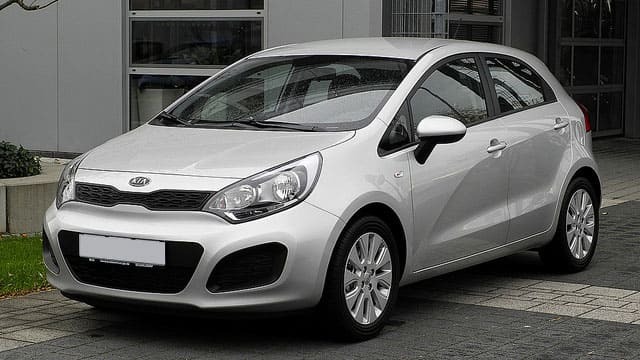 We help you maintain the quality that makes Kia vehicles worth owning, this without ruining the economical qualities that also make them perfect for the discerning owner. For starters, you never have to worry about convenience when you head into our shop. We’re centrally located in Salt Lake City, meaning we aren’t confined to clients within a narrow area – we service customers from all over the valley, including West Valley City, Riverton, Draper and others. And once you’re in the door, you’ll experience the top auto service in Utah. Our customer service professionals will help you feel at home while our ASE-certified technicians get to work on your Kia, communicating with you throughout the process about the work that needs to be done. We won’t perform any service without you first understanding and approving the work. So don’t wait – call the professionals at Jerry Lambert Automotive today to schedule Kia service, or drop in to our convenient SLC location.